Phoenix Air Conditioning Condenser and Evaporator Repair from Colby Welding & Radiator, inc.
Colby Welding & Radiator, Inc. is proud to offer air conditioning condenser and evaporator repair services for the Phoenix area. Our statewide service for heat exchangers is available for anyone in need of AC condenser or evaporator repair for their automobile, construction or industrial equipment. For over 15 years, we’ve been providing the Phoenix area with high quality air conditioner condenser and evaporator repair services and we’d love to do the same for you today. Our skilled technicians have 150 years of combined experience in the industry and we’re able to handle all of your heat exchanger needs in an efficient and timely manner. As two of the main components of your AC system, the condenser and evaporator must be sealed to contain the valuable freon. With the high temperatures Phoenix has in the summer, your AC system must maintain proper pressure to function at maximum efficiency. Colby Welding & Radiator, Inc. offers fast and reliable testing and repair of all types (steel or aluminum) and sizes of heat exchangers for all types of vehicles and equipment. 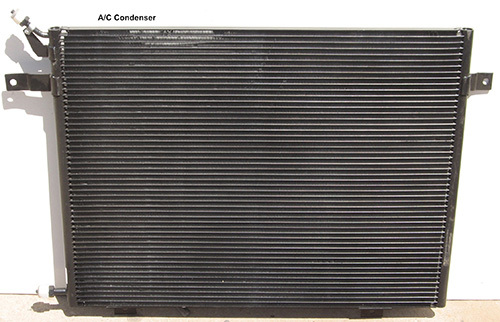 Learn more about our AC Condenser and Evaporator repair services. For professional air conditioning condenser and evaporator repair services in Phoenix, contact Colby Welding & Radiator, Inc. today at (602) 258-7147. To learn more about our heat exchanger and evaporator repair services, we can also be reached through our Contact Us page.